The 86 nurse practitioners, registered practical nurses and public health nurses rejected an offer tabled on Wednesday. It was the third offer rejected by the nurses as they seek more money. 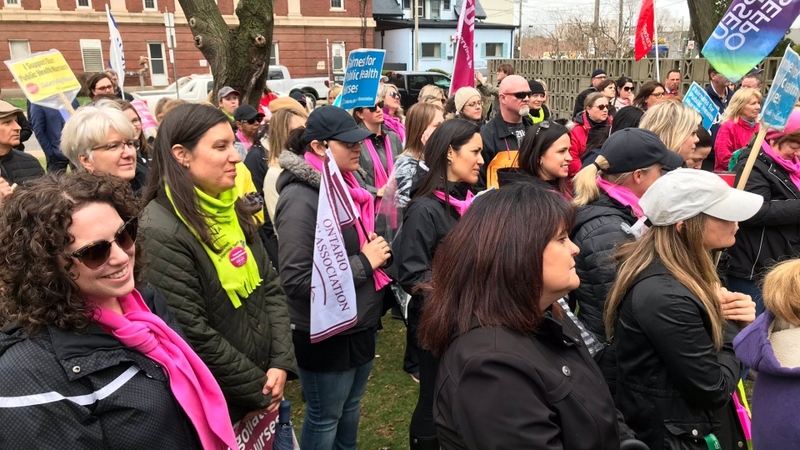 The striking members of the Ontario Nurses Association were joined at the rally by national representatives, community supporters, members of provincial parliament, the president of the Canadian Federation of Nurses’ Unions and the president of the Windsor and District Labour Council. Before the rally, representatives from the Ontario Nurses Association along with the president of the Canadian Federation of Nurses went to Tecumseh town hall to present a petition with 1,000 signatures to Gary McNamara. 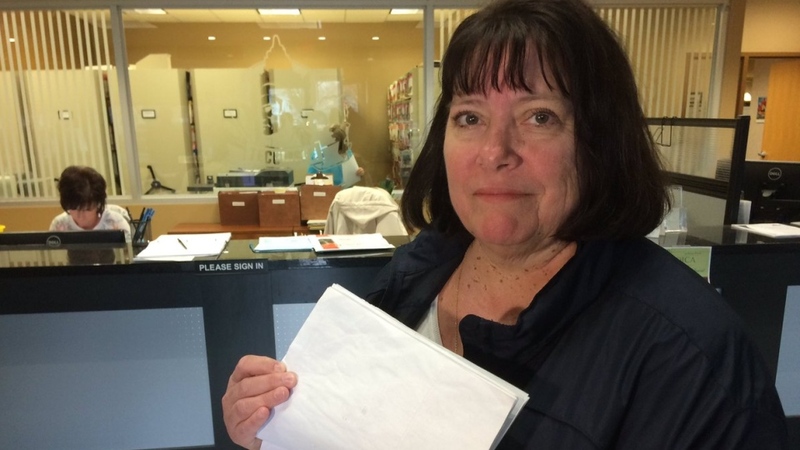 "We're asking Mr. McNamara as the Warden of Essex County and also the chair of the board of health to give the public health unit CEO a new mandate so they can enter into a fair collective agreement that respects these nurses,” said Karen Bertrand, the vice president of ONA Local 5. 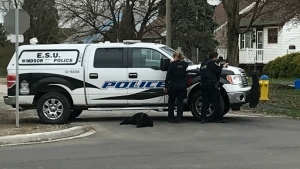 McNamara did not meet with the representatives, but he did speak to CTV News at a later event. “We have given them three offers, they've turned them all down,” said McNamara. “It was more of a slap in the face than anything,” said Barb Deter, the representative for ONA Local 8. 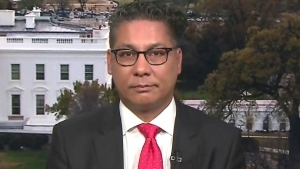 "They have to change their mandate. Their mandate is one percent. They have to change that and get it fixed." CFNU representatives also presented ONA Local 8 with $52,000 for the striking nurses. President Lisa Silas said the money was collected Thursday in Saskatchewan from nurses in Alberta, Saskatchewan and Quebec. She hopes the solidarity fund will help those in need. “We have single mothers here, we have small families close to retirement that are suffering that need a little bit of help because it's week number six and it's pure craziness in my mind to you have so many nurses out on strike,” said Silas. McNamara said he would love to have nurses back at work, but after Thursday's provincial budget -- he feels there needs to be some give and take. "If they were paying attention to the Minister of Finance yesterday, it's pretty clear that there is no money in that regards,” said McNamara. The provincial budget did call for a restructuring of health units across Ontario, meaning there would be fewer organizations in the future.